Mueller Austin presents "Hooked on Mueller"
Come out to Mueller's Lake Park for a day of urban fishing. 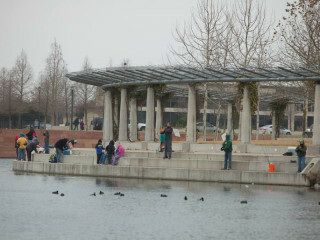 Texas Parks & Wildlife will stock the lake with 2,000 rainbow trout for catching and eating. Fish enthusiasts can also learn how to cook tasty trout dishes by visiting the Mueller Farmers' Market, where vendors will be demonstrating how to prepare it and selling sides to complement the dish. Just bring your own fishing gear!